When you’re in need of a shipping container in Murray, UT where do you go? At Haulaway Storage Containers, we make your needs our priority. Need portable storage at your home, business, or construction site? No problem! We will deliver and pick up your storage container rental at a time that works best for you. Why go through the hassle of renting a self-storage unit when we can deliver a portable storage container to your home or business for a reasonable price? Haulaway Storage Containers has been in the portable storage container business since 1968. While our containers were first manufactured for the construction industry, by 1970 we had improved the design and began manufacturing smaller units for storage purposes. Now, over 45 years later, Haulaway is the premier shipping container purveyor in Murray, UT, Arizona, California, Colorado, Washington, Oregon, and Nevada! We’re the leading industry experts when it comes to portable storage containers, and our commitment to excellent customer service makes us the most reliable company out there. With us, you have options. We provide a variety of storage sizes, from 10’ to 40’ with varying height and width options. 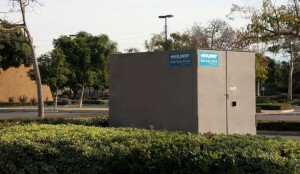 We rent only the highest security containers constructed from 14 gauge steel. You can rest assured knowing that your belongings are protected by our secure, wind resistant, and water-resistant units. Our 20’ and 40’ shipping containers come equipped with an added layer of security thanks to our patented Rhino Locking System. Perhaps you’d prefer a unit with good air circulation during the summer? We have custom 21’ and 26’ storage containers that feature double doors on both ends, making it much easier to access your belongings. So if you’re looking for a reliable shipping container company that you can work with in Murray, UT, give Haulaway Storage Containers a call. We offer expedited shipping options, so even if you’re in a hurry, we can deliver your rental unit on the following business day. Getting a quote is easy. Just fill out the form on our website and get started today!